I don't know who this is, but in 1922 Laura Bessler and Roscoe Dunnuck's marriage was in the same paper ???? This is not likely to be their child as they had a baby in March of 1928.
b. 12 October 1864, Wayne township, Kosciusko Co., IN. d. 1 February. 1907 North Manchester, Wabash Co., IN, Buried Pleasant View Cemetery, Kosciusko County., IN. Source: Marriage index Book N, page 27 // Kosciusko County Indiana 1836-1986, Biog. sketch Dunnuck, published. Kosciusko County Historical Society, pages 108 & 109 // D.Sheldon Copeland // Steve Hartman. sons: yes - two sons P.D. and R.D. - might be living. Source: Wilma, gdaughter of Charles, Samuel was "Craley"
Ilene (HOFFER) PARKER see Eunice "Ilene"
Ilva (DETWEILER) DUNNUCK See Robert B.
d. 7 February 1962 in Phoenix, Maricopa County, AZ, Hillcrest Cemetery in Pierceton, IN. b. 22 April 1881 Kosciusko County, Indiana son of Simeon Curtis and Mary Minerva (SMITH) PAXTON who had six children, Hudson was #2. Children: Zella F. b. 1905; Margaret E. b. 1907; Deloris/Doris M. b. 1912; & Lillian D. "Delight" born 1918. 1920 Census for Washington township, Kosciusko Co., IN census dist. 101 H.C. age 38, Ina-41, Zella -14, Margaret 12, Doris - 7 and Delight 1y 3/12 mos. 1930 Census: living in Washington township, Kosciusko Co., IN, census dist 26. Clark-age 48, Ina-51, Doris-17 and Delight-11 . Clark was engaged in General farming. Clark and Ina were 22 & 25 when they wed.
m. Daniel L. FLOHR 2nd marriage for both Inez and Daniel (widow & widower) per wedding announcement published Nov. 7, 1970. Gettysburg Times, Gettysburg, PA "Recently wed at the Flohr's Church" Picked the church because of the name Flohr. Source: Audubon County, Burial Records, Volume 1, page 66. Irena DUNNICK (See Mary Irena DUNNICK) Also "Rena" -- tombstone has Irena M.
daughter of Robert James Hunter Cox and Ann Jane Cox. Ann Jane being the daughter of Henry Hodgson and Esther Franks. b. circa 1905 in CO.
s/o Cornelius and Elizabeth (nee: Cuperus) "DUNNICIK"
d. 6 December 1907 near Warsaw, Wayne township, Kosciusko County, IN, Buried: Pleasant View Cemetery, Kosciusko Co., IN. Isaac was a farmer and owned a threshing machine. (another source has her as daughter of Joseph & 2nd wife, Emily (McKinley) Hankerson. jcologrow@bellatlantic.net.) ?? Burial - Pleasant View Cemetery, northwest of Warsaw. From Ohio to Indiana 25 September 1857. The 1860 census has Isaac and wife living with his father & stepmother in Kosciusko Co., IN. 1870 (11 July 1870) census for Wayne twp., Kosciusko Co., Indiana: Father: Isaac W. DUNNICK a farmer, age 38... Sarah C. age 36 wife.// Children: Samuel 9, Charles. 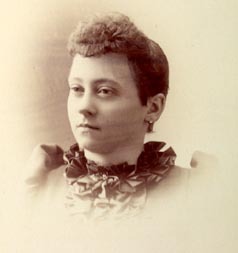 7, Ida B. 4, Harvey 3, and Edwin 1. 1900 census Isaac-age 68, born September 1831, OH/OH/OH, married 44 years. wife Sarah born February 1834, age 66. had 8 children, 6 living. 1850 Ohio Walnut township, Pickaway Co. OH //1860 and 1870 Kosciusko Co., IN census /// Obituary on Mancel /// Kosciusko Co., IN Marriage index /// Pleasant View Cemetery records. /// "Kosciusko County, Indiana, 1836-1986" published by the Kosciusko County Historical Society./// D. Sheldon Copeland's family sheet // Steve Hartman. b. circa 1842 in 1910 census, listed as age 68, born in South Holland. Wife deceased. child at home in 1910 - Rosa A. age 15, born in IA. I have not gotten this. Children: 5 sons, 7 daughters. Son Carl DUNNICK b. July 21, 1890, d. age 71 at Jasper Co. IA. One daughter: Mrs. Harold Lamphier was living when Carl died. Living in 1930 Liberty, Fairfield, Ohio. She is a widow and son Ralph age 19 is at home with her. Iva is 51 yrs. old. 1900 age 37, Iva's widowed mother Sarah and her siblings Clyde & Blanche living with them. d. between 1920 & 1930. Children, Elsie b. 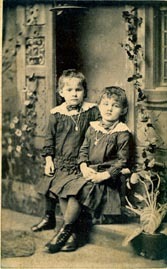 March 1895 and Esther b. May 1898, James b. circa 1905, Helen Lucille b. 1908, Ralph b.circa. 1911, Vernon b. circa 1913. From Censuses 1900, 1910, 1920 & 1930 census for Fairfield Co. OH. 1900 census Iva is married to John MILLIGAN. Iva's widowed mother Sarah and her siblings, Clyde & Blanche living with them. d. 14 April 1963 - Easter Sunday. Iva's obituary in the Lancaster Eagle Gazette, (Lancaster, OH) publ Monday April 15, 1963, page 2 indicated she was survived by one daughter, 2 sons, 7 grandchildren and 6 great-grandchildren. Also two brothers. The names are not included. Burial in the Amanda township Cemetery. Children: Kathleen - b. 1902 // Fred - b. 1906 // Felix - b. 1903 // & Tom - b. 1914 // More children who died in infancy: Alice L. b. 1907-08, Elizabeth b. 1909-11, Rebecca b. 1910-11, stillborn twins. 1920 census Amanda, Fairfield, Ohio, District 1, Village of Amanda. Boyd S. SWOPE age 45, M. Iva age 43, Cathleen 17, Felix D. 16, Fred L. 13, Tom Henton 5, Dealer- grain elevator. 1930 census Madison, Franklin, Ohio, District 187, Village of Canal-Winchester. S. Boyd age 55, M. Iva age 53, Kathaleen age 28-single, Fred L. 23-single, Tom H. 15-single (also in the house was Grace Swope, sister of Boyd. age 52 -single) Grain dealer. See descendant chart on Henton Monroe DUNNICK for more information on these children. d. He survived Iva. - No children by Iva. Edwin had 6 children by his first wife Susannah. Susannah is living in 1900.. Urban J. age 30 in 1910 was living with them. Iva's obit lists 5 step-children - C.E. of Columbus, EW of Pittsburg, PA, G.M. of Circleville, Mrs. Calvin M. May of Circleville & Urban J. -at home. 1860 Census: Iva living with mother and siblings: HH consisted of Minerva, Missouri, Amelia, Phoebe S., Sarah A., Amanda, Mary, Henton M., Benjamin M., and Permilla Ashbrook. 1910 census for Walnut township, Pickaway County, OH list Edwin Newton age 64, and Ivy, age 62. They had been married 2 years- his 2nd and her 1st marriage. Living with them is Urban J. Newton, (son) age 30, and Minerva Dunnick, age 90, listed as mother-in-law. Minerva had 8 children - 6 living. Source: 1850 census OH.// 1900 census for Walnut township, Pickaway Co. OH - for both Edwin and first families and the DUNNICKS // 1910 Census for Pickaway Co. OH// obituary for Iva published in The Circleville (OH) Herald, Saturday March 15, 1930.